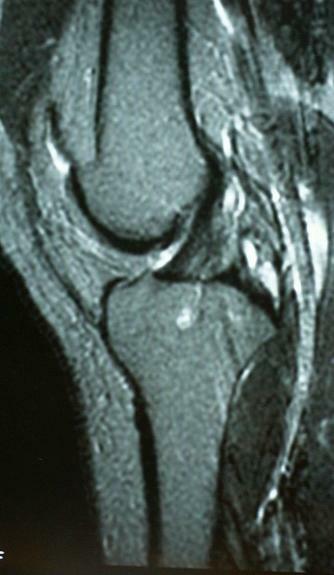 Sagittal MRI of a knee showing a normal anterior cruciate ligament. 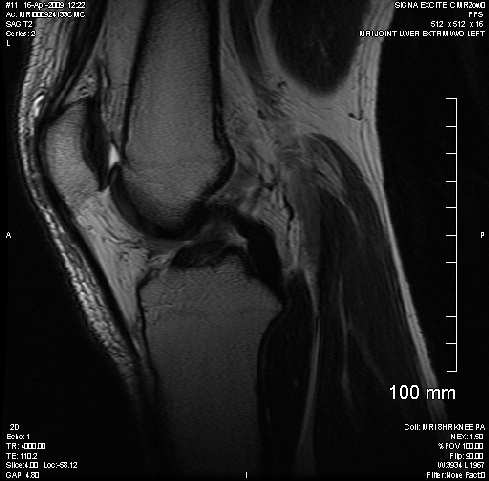 Image courtesy of Carleton University Sports Medicine Clinic, Ottawa, Ontario, Canada. For more about knees check this out. My imaging experience today confirmed for me that getting imaged is not nearly as fun as imaging somebody else. So glad that I have a little bit of discretion and didn't try something foolhardy because everything feels pretty good.